As I started my choir this year, I incorporated technology in a way that hadn't before with choir, to save time and be more efficient. Today, I thought I'd share those strategies in case it helps save time with your choir! Before I started recruiting for choir this year, I had a conversation with my friend Matt, who also directs a choir at his school. He mentioned that he was using Google forms to sign up students for choir, and I was so excited to try it with my students! In the past, I've always had students fill out half a sheet of paper with their information (like name, teacher's name, grade level, etc.) and then I collect all of the half sheets and enter the information into an Excel spreadsheet. Matt's idea, though, was ingenious, as it saves SO much time! Instead of them handing you a half sheet of paper which you then have to enter, I simply include a link in the parent letter home which they then go to, fill out the information, and then it pushes it to a Google spreadsheet with all of the necessary information. Brilliant! You might try a URL shortener so you don't have a super long web address to share with parents. I've used Bitly, and just found out about tinyurl, in which you can customize the short web address. Once my students are all signed up, it's time for the first rehearsal! In the past, I've had students sign into choir on attendance sheets posted outside my door. This works fine, but I have to admit that one of my least favorite tasks is to take the sheets off the wall, then enter the information into an Excel spreadsheet. 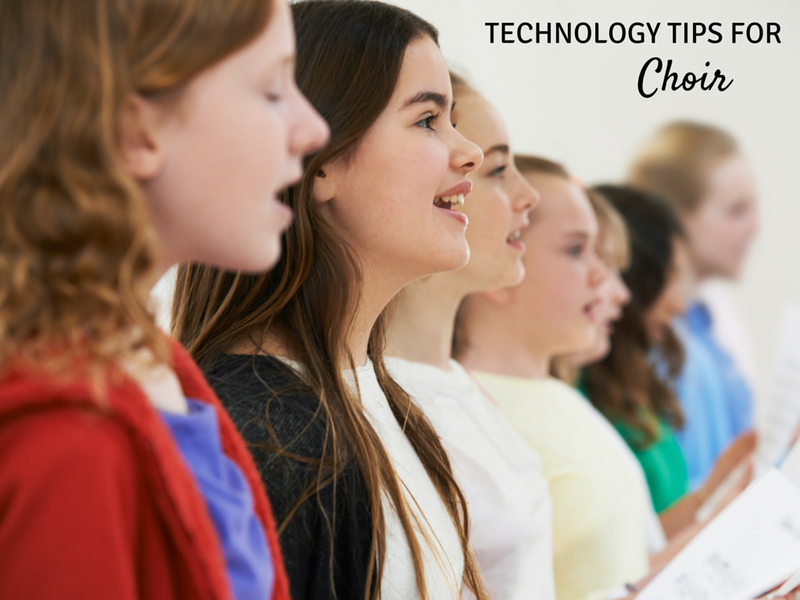 I loved using Google Forms to have students sign up for choir, so thought I'd try it for sign-in! I am lucky enough to have eight i-pad minis in my room, so I use them to have students sign in. I split up the kids by their grade and first letter of their last name, so the 3rd graders whose last name starts with A-L go to one iPad and the third graders whose name starts with M-Z go to another iPad, etc. I have signs posted by each iPad, so students know where to go. Here is an example of the form I use. To create this, in Google drive, I went to "new," then "form," then added the question "What is your name," chose multiple choice, and typed in student names. To add more student names, click "click to add option." Then, when you're done editing, click "done." After I created each form (you might have several, depending on how you chunk up your students), I then had to get it to my iPads. Instead of worrying about going to Google forms on each and every iPad, I instead made a QR code for each form and printed out this list of QR codes for easy access. Then, before each rehearsal, I scan each respective QR code on each iPad and the sign-ups are ready to go! If you don't have as many iPads as I do, you could make longer lists (like one per grade level), and put one on your iPad, one on your smart phone, and one on your computer and have each grade level or group go to the respective device. The Google form pushes it to a spreadsheet, and your information is all there! Instead of taking down the attendance sheets and entering into a spreadsheet, if you do it this way, you already have all the information you need! 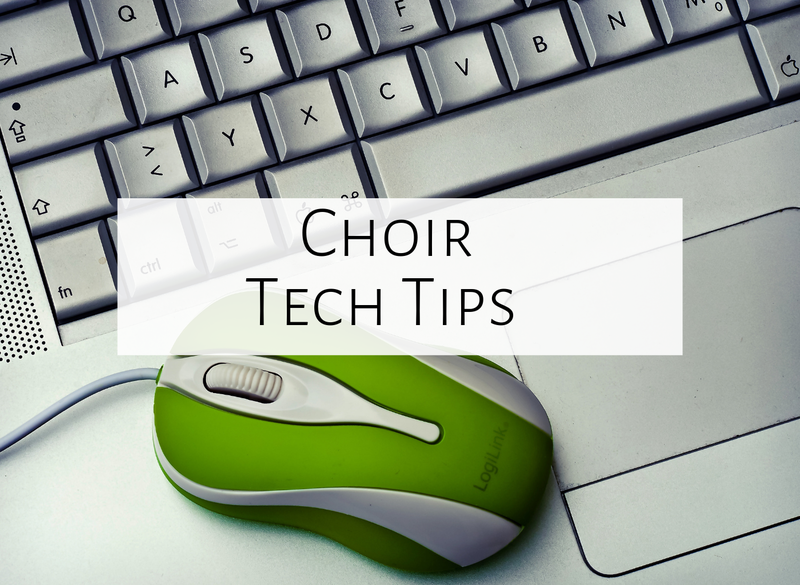 Which technology tips have worked for you with your choir or musical ensembles? Feel free to comment below! I am excited to try the sign in like this! I hadn't thought of using the iPads for this! I think it would definitely save time after the first few weeks of getting adjusted to a new system! Thanks for the idea!